On the 2nd (Sat), take a leisurely stroll along Santa Monica Pier, then see the interesting displays at The Getty Center, and then get to know the fascinating history of Hollywood Walk of Fame. 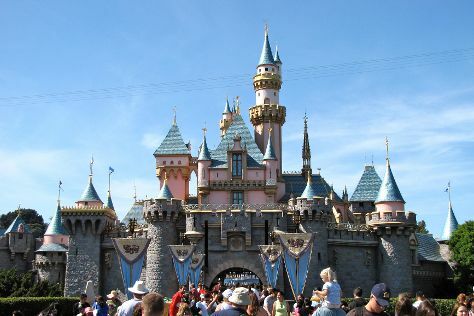 On the next day, get in on the family fun at Disneyland Park. To find more things to do, other places to visit, maps, and tourist information, go to the Los Angeles online vacation planner . San Francisco to Los Angeles is an approximately 4-hour flight. You can also do a combination of train and flight; or drive. When traveling from San Francisco in March, plan for somewhat warmer days in Los Angeles, with highs around 74°F, while nights are about the same with lows around 54°F. Finish up your sightseeing early on the 3rd (Sun) so you can go by car to San Diego. Start off your visit on the 4th (Mon): appreciate the history behind Cabrillo National Monument and then admire nature's wide array of creatures at San Diego Zoo. Get ready for a full day of sightseeing on the 5th (Tue): examine the collection at USS Midway Museum and then enjoy the sand and surf at La Jolla Cove. Find out how to plan San Diego trip without stress by asking Inspirock to help create an itinerary. Traveling by car from Los Angeles to San Diego takes 2.5 hours. Alternatively, you can take a bus; or fly. While traveling from Los Angeles, expect a bit cooler days and about the same nights in San Diego, ranging from highs of 69°F to lows of 56°F. Finish your sightseeing early on the 5th (Tue) so you can travel back home.